Galaxy S9 and S9 + users did not expect an Android 9 Pie update by January, but it looks like Samsung is getting up early. So far, there have been reports of updates from S9 and S9 + owners (both Oreo and Pie-Beta) in European countries, including the UK, Germany, the Netherlands, Slovakia, Switzerland, Hungary and Italy the United Arab Emirates (UAE). The pie-update for S9 and S9 + not only brings features with adaptive battery, but also the new One UI design language from Samsung. In addition to this surprise gift, Samsung has released an updated pie update roadmap for other devices in the Samsung Members App. The full list can be found below. As can be seen from the list, the rollout is still fairly slow, especially when it comes to older devices. Even for the S9 and S9 +, Samsung is still the starting month of January, suggesting that the update will be made progressively around the world and through various carrier partners. Assuming that other devices are set to nab Pie, the new OS version may appear on the Note9 from January before the February deadline. Meanwhile, the list of S7 and S7 edge devices is unfortunately excluded, as both devices have already received the promised two major operating system updates. To locate Pie on your device, check "Software Update" in Preferences and select "Download Updates Manually." The update will be displayed in your country. We now had several weeks to familiarize ourselves with the One UI Beta, so that big surprises from this final, public release did not get in the way. If you did not follow Samsung's work on the new software, the company just updated the support documents with a detailed listing of the changes, and the new features that users can enjoy with this update. 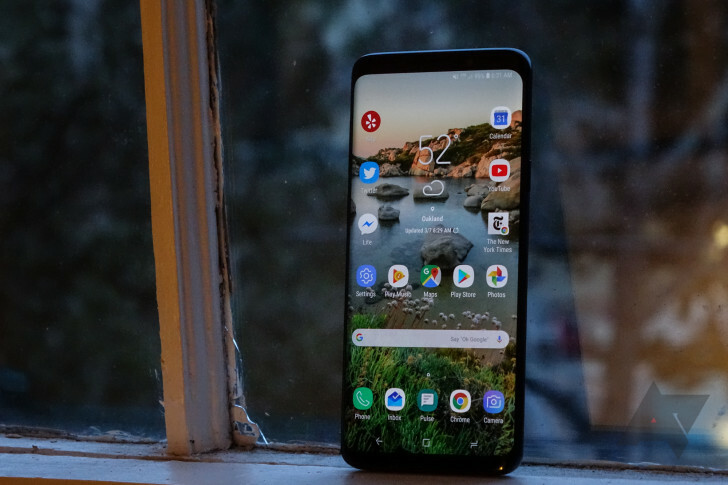 The full list is a bit long to include here, but covers improvements to notifications, the keyboard, Samsung DeX, Always On Display, Bixby, camera software, and more. On the Samsung website you will find all the highlights.